Russound announced today that it is adding two new components to its popular XStream line that seamlessly integrates streaming music services to any system installation, residential or commercial. The new models are the XSource Streaming Audio Player and the XZone4 Four-Stream, Four-Zone Audio System. Russound will officially launch these new models at the upcoming CEDIA Expo in October, but gave the media the go-ahead to announce them now to get a jump start on the season. Like many manufacturers, Russound has hustled to add streaming solutions to their ecosystem, such that its integrators can more easily fulfill the growing consumer demand for streaming music in their installations. The XSource Streaming Audio Player is a small format preamplifier/streamer that offers a couple of important uses. 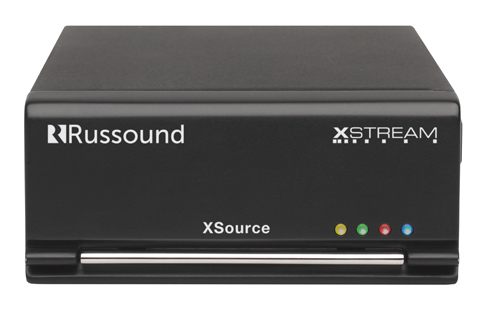 First and foremost, as product manager Colin Clark explained to reporters in a conference call with the media, the XSource is the fastest and easiest way to add another streaming zone to any Russound system. And since its modular, you can add one zone, two zones, or three zones at a very cost effective price. What is that price, you ask? Well, according to the Russound executives, the price has not been finalized yet, but it will be at a lower price than they have ever been at before they promised us. What services are available through these new streaming products? Russound says both of the new models build upon the technology and services available in their other streaming products, so the streaming solutions are full featured with services such as: Spotify, Pandora, Sirius, TuneIn Internet Radio, AirPlay, DLNA sources…basically everything you get from their other more robust streaming solutions. And Russound noted that these new models are both Hi-Res Audio capable right out of the box. The company feels that the fact that these models fully support 24-bit, 192kHz resolution is a strongly differentiating factor as compared to other brands in the market. 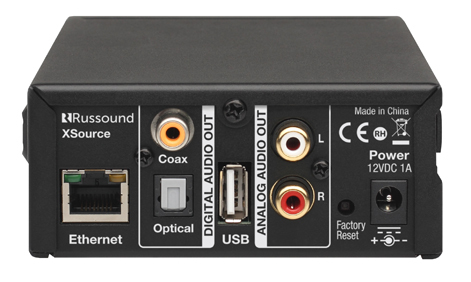 The XSource has both analog and digital outputs, as well as an Ethernet connection to tie into your system. While the XSource is a handy pop-in zone streaming solution, the XZone4 is clearly meant to be an all-inclusive 4-stream streaming solution for a typical 4-zone multi-room installation. Like your favorite screw-gun, the XZone4 is the tool you’re most likely to grab for the majority of your installations. By the way, you can daisy-chain them to get up to 16-zones for larger installations. A sleek 1U rack-mountable device, Russound says the XZone4 is super-easy to install. It is also super-easy to configure by simply using a browser-based configurator on your favorite mobile device, tablet or laptop. As mentioned above with the XSource, the XZone4 has all of the popular streaming services and technologies. And it too is Hi-Res Audio capable – you don’t have to give up performance for flexibility! Like the other XStream models, these new units work with the MyRussound App which is available for iOS and Android phones and tablets. The company says a new iteration of this popular app is just about to launch as well. Finally, we should note that both of these products are covered by Russound’s new Certified Installer program (RCI). That means that both the XSource and the XZone4 are shipped “locked” and inoperable. Only participating installers get the appropriate code to unlock the devices for professional installation. The company tells us that their RCI program is very popular and eliminates unauthorized sales of Russound products. Currently, they claim that more than 4,000 installers are signed up to participate in the program. The XSource Streaming Audio Player and the XZone4 are both expected to ship in December. 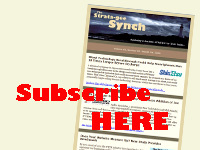 Pricing will be announced at the CEDIA Expo this coming October. For more information on Russound, visit: www.russound.com.